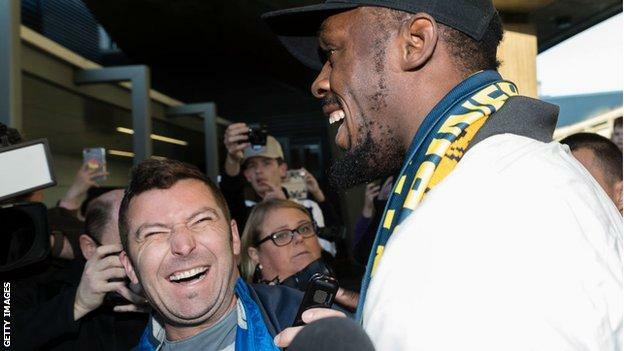 Usain Bolt is no stranger to the adulation of sports fans. 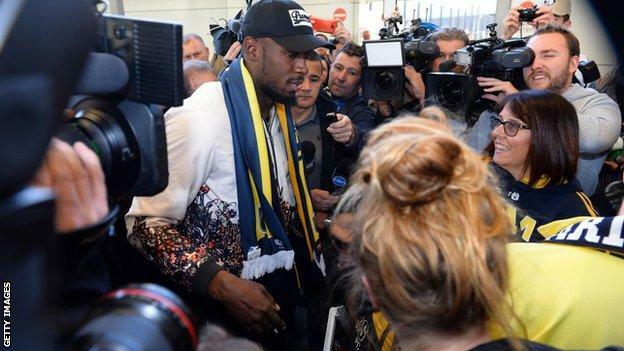 However, at Sydney airport on Saturday, Bolt was welcomed not as a sprinter – but as a footballer. 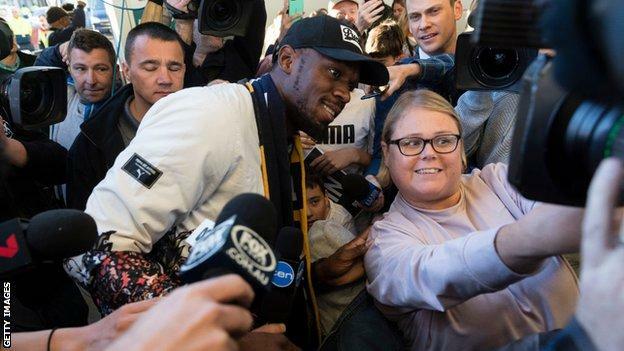 The eight-time Olympic champion, who has agreed an “indefinite training period” with A-League side Central Coast Mariners, was greeted by legions of fans on his arrival, including children with “Welcome Usain” signs. 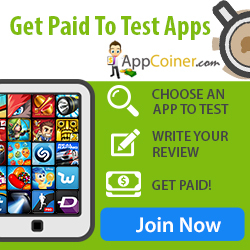 “I love Australia, so I’m happy to call Australia home for now,” said Bolt. “I’m going to show the world what I’m made of,” the Jamaican added. 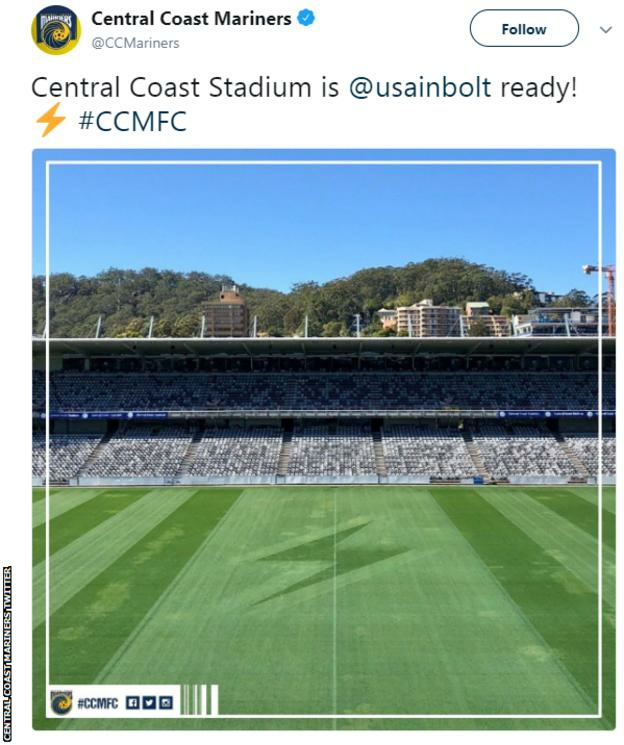 Bolt could train with the Mariners for the first time on Tuesday – which is also his 32nd birthday.